Work is continuing on resurfacing the front part of the water play park, unfortunately, more surface coat is needed than was originally anticipated. The extra materials have been ordered, however, the resurfacing is now expected to take a little longer than anticipated. As a result, the front part of the park is now expected to reopen on August 24 instead. We apologize for the unexpected delay and thank you for your patience as we work to improve the water spray park. 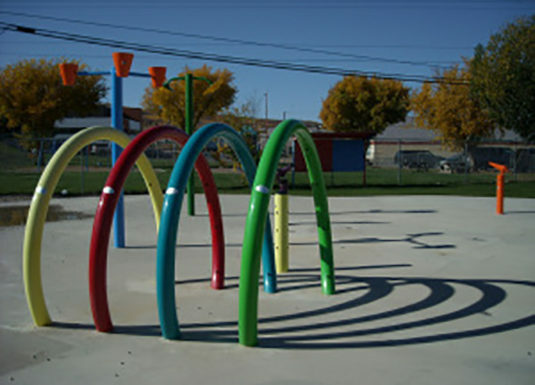 The front section of the Spray Park will be closed from August 12 to 16 for resurfacing, the back portion will remain open during the construction. The whole park is expected to reopen by Friday, August 17. The park was originally supposed to be resurfaced earlier this summer, however, rain and inclement weather delayed the project. The resurfacing will include the addition of a new rubberized surface to improve safety.